Blackstar (stylised as ★) is the twenty-sixth studio album by David Bowie. It was released on 8 January 2016, today, the date of Bowie’s 69th birthday, and features seven songs. This is the first truly great album of 2016. I don’t know what I expected, but my expectations were exceeded. 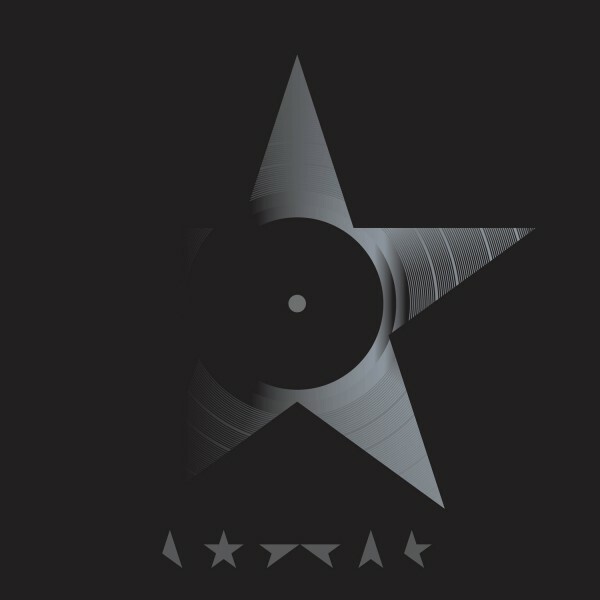 ★/Blackstar is a mix of jazz/rock/cabaret/krautrock and electronica. It is beautiful, the songs are smooth and intimate, but musically complex and intriguing. It is not “difficult” music, it’s rhythmic and very recognizably David Bowie. The jazz elements are not overwhelming, they are just …fitting. A classic Bowie album, no less. …and Happy Birthday, David Bowie! The title track was released as a single on 20 November 2015 and was used as the opening music for the television series The Last Panthers. Lazarus was released on 17 December 2015 as a digital download and received its world premiere on BBC Radio 6 Music’s Steve Lamacq the same day. Great bass! So far my favourite track(together with Girl Loves Me). Bowie began writing and making demos for songs that appear on Blackstar as soon as sessions for The Next Day concluded. The two songs that appear on Blackstar that were previously released, “Sue (Or in a Season of Crime)” and “‘Tis a Pity She Was a Whore”, were re-recorded for Blackstar, including new saxophone parts played on the latter song by Donny McCaslin (replacing parts Bowie played on the original release).